Social media will ensure that we know more (and sooner) about electric cars, and how they are driving, then any vehicle in history. As owners feed real experience to the world through Facebook and Twitter, manufacturers will be able to build up a far more complete picture of consumer response than any market-research firm could deliver. And it will not cost them anything. 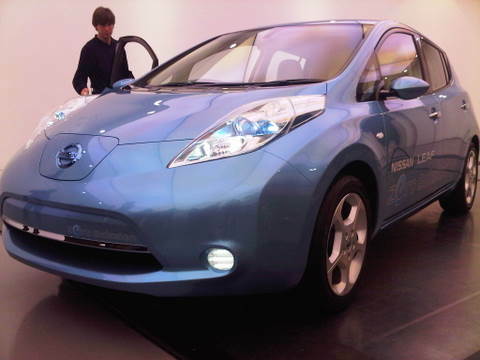 But before we get overwhelmed with those early adopters’ reports, this is what Tom Franklin, the San Diego man who in mid-December became the worl’s second Nissan LEAF driver told www.plugincars.com. He described the transition from his 2006 Toyota Prius to a 2011 Nissan LEAF as a paradigm shift. For Tom, it’s mostly been a matter of getting used to the routine of charging every night. But then, he says, he is never going to happen to visit a petrol station. Previous PostMontreal – baguettes with skyscrapers	Next PostMilan – Italy's capital of style.